There are several different reasons why a TPMS warning light may come on or flash. The primary reason is a low tire. Once the tire is inflated, the malfunction indicator lamp (MIL) should turn off. When that doesn’t happen there could be other problems a shop may have to address. Other issues that may be triggering a light are dead batteries, faulty sensors, a blocked signal to the TPMS module or an electronics fault. Whether the customer brings in the vehicle with a TPMS light triggered, or one triggers as a result of performing some tire service, not being able to turn off the MIL can sometimes cause headaches for shops. Here are a few commonly overlooked issues that could be triggering a warning light. 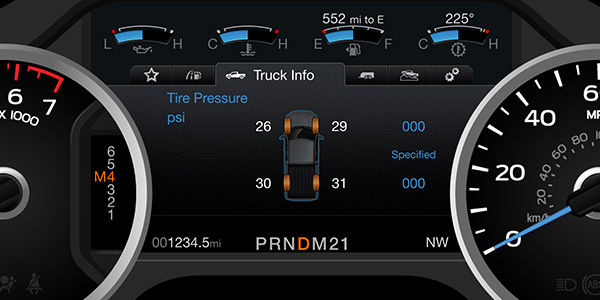 Direct TPMS uses radio signals to send sensor data to a vehicle’s module. The majority of sensors are activated with a low-frequency signal, and this can be prone to interference. Anything transmitting in a similar frequency range such as an electric motor, appliance operations as well as cell phones can interfere with sensor communication. Additionally, anything that may block a radio signal, such as metal, may also cause interference with a signal. 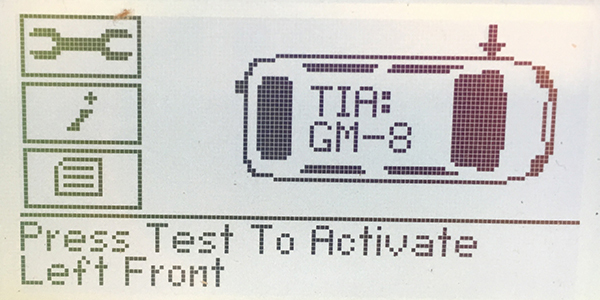 Performing a TPMS relearn procedure away from the shop, for example in the parking lot, may decrease the chance of other radio signals interfering with the relearn process. If you still can’t get a sensor to initialize, try pushing the vehicle forward a few feet, as rotors, calipers and knuckles can block the signals. This is a more common occurrence in the front wheels. Also, some vehicle manufacturers, such as Ford, recommend rolling down the windows during a relearn to avoid interference. It is also a good idea to keep TPMS sensors away from each other during a relearn. If sensors are too close together, a different sensor may be triggered and relearned instead of the one that is needed. Honda released a service bulletin in 2010, titled “Keep Your Distance When Doing Sensor ID Learning,” addressing this issue and recommending a clearance of 10 feet between the TPMS sensors being relearned and any other TPMS sensors that are nearby. In some vehicles, the TPMS shares the same antenna and module as the keyless entry system. The key fob is often used during the relearn on these systems. If the key fob has a weak or dead battery, there may be issues with a relearn. A shop can test a fob’s signal output with some dedicated TPMS tools. If a dead battery is found, it can be quickly replaced. Keeping a variety of three-volt coin-size batteries can help a shop in these situations. Other issues may arise with TPMS due to keyless entry. If the keyless entry system has a wiring problem, the TPMS system could be working fine, but an error may occur because the right information isn’t being collected by the keyless entry system. Remember too, on systems where the keyless entry and TPMS share the same module, if a module is replaced both the TPMS sensors and key fobs must be relearned. Is The Check Engine Light On? Are There Codes? If you are having problems with a relearn procedure or the TPMS light won’t go out after a test drive, look to see if the check engine light is on or if there are any codes related to the modules that communicate with the TPMS. If there are any codes for loss of communication, serial data bus errors or low voltage, it could be an indication that there are other problems with one or more of the serial data buses. Most TPMS systems do not have a direct connection to the TPMS light in the instrument cluster. The command to turn on the TPMS light might go through an ABS, keyless entry or other module that acts as a gateway. The parking brake or brake pedal switch must be functioning for some TPMS relearns. Relearns that require the parking brake may not start or will be aborted if the parking brake is not turning on the brake light in the instrument cluster. To fix this issue, you’ll have to diagnose the problem with the parking brake first. On some vehicles, it is essential that the brake pedal be depressed three or more times and the ignition be turned on and off in a set sequence. If the brake pedal switch is not working, the relearn procedure can’t be initiated. Sensor life spans very, but, on average, they have a 10-year/150,000-mile battery life. Make sure to check your TPMS tool for battery life. If a sensor is dying the signal may be internment and not display a code. It is a good practice to replace all four sensor batteries at the same time. Once one sensor dies, the rest are likely to be close behind. Sometimes TPMS comebacks are due to the simplest of things, like not checking the spare tire. Vehicles equipped with full spare tires, also have an additional set of TPMS sensors. While the spare tire may be out of sight, and out of mind, this tire may be causing a MIL. 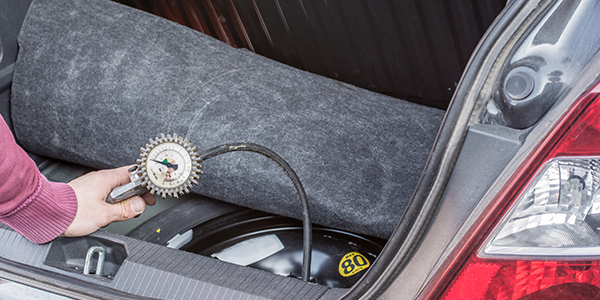 If the spare tire sensor is not relearned or serviced, it typically results in a comeback.